January 29, 2018, Sandpoint, Idaho – Quest Aircraft announced today the appointment of Hitoshi Moriguchi as Vice President of Production. 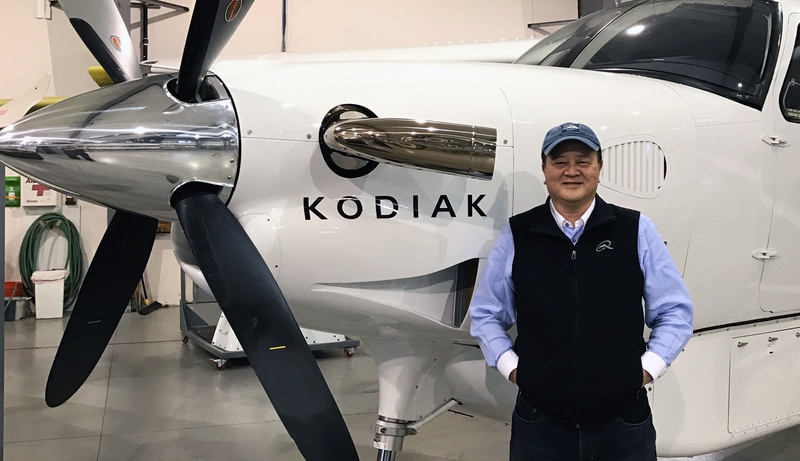 Moriguchi will assume the role immediately and will continue to serve as Executive Vice President and as a board member for the Idaho-based manufacturer of the 10-seat Kodiak. “Hitoshi joined Quest in 2016 as Executive Vice President and in a short period of time has proven to be an incredible asset to the team. His extensive background in managing large production facilities is well suited to lead Quest in the next phase of our company’s growth and success,” said Rob Wells, CEO of Quest Aircraft. In his role as VP of Production Moriguchi will be focused on refining production design and processes to maximize efficiencies as the boutique aircraft manufacturer continues to grow. Prior to joining Quest, Moriguchi spent over 35 years with Honda Motor Company in sales, marketing and production capacities. He retired from Honda in 2015. Moriguchi received a bachelor’s degree in Political Science from Waseda University in Tokyo, Japan. The Quest Aircraft Company is dedicated to providing access to more people and more places by building the most rugged, reliable, turbine STOL aircraft in the business. For the past decade, the 10-seat Kodiak 100 has proven its versatility in a wide range of public, private, business and humanitarian applications. Additionally, Quest’s continuously growing dealer and global support network provides customer assurance that their missions will be accomplished. The Kodiak is proudly built in Sandpoint Idaho, with a fleet of over 200 aircraft certified in over 50 countries around the globe. For additional information on Quest and the Kodiak, please visit questaircraft.com.